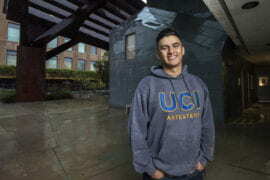 Food, music, games and the crowning of Jordy Cardenas and Dominic Grand as 2016 homecoming queen and king highlighted University of California, Irvine’s “Spark the Zot in You” Saturday, Jan. 30, in Aldrich Park. Alumni, students, faculty, staff and community members connected with the campus through a day of fun, discovery, innovation, athletics and school pride. Homecoming typically draws more than 5,000 people and despite the drizzly weather, Saturday’s event came achieved record-breaking attendance at about 6,000. The homecoming festival from included live music and dance performances, alumni-owned food trucks and an adults-only beer garden sponsored by Hotel Irvine. 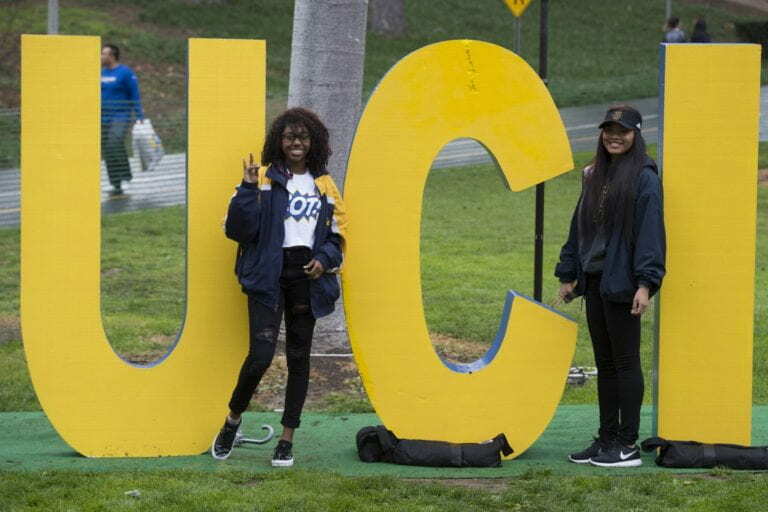 Attendees could get their zot on at the Alumni Antrepreneur Fair, receive advice from UCI’s Career Center, and release some energy at a family fun zone and clinics, which was presented by UCI Athletics. UCI’s schools and departments sponsored interactive science and research exhibits. Participants logged volunteer points for UCI’s Fifty for 50 Volunteer Program by making sandwiches for the homeless. Anteater Talks, a new addition to the homecoming agenda, featured distinguished alums Gene Wie ’01, M.F.A. ’03, an internationally accomplished conductor, musician and educator; and Tim Kashani ’86, MBA ’91, founder and CEO of Apples & Oranges Studios, ShowbizU and IT Mentors. The day ended with a sold-out basketball game pitting UCI against UC Santa Barbara. The Gauchos handed the Anteaters their first conference loss, 76-60.